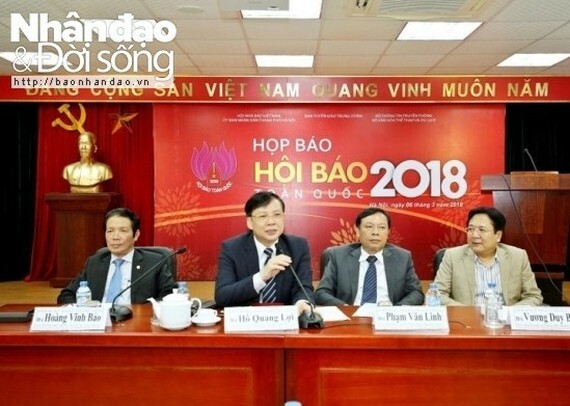 The national press festival, themed “Vietnamese press accompanies the nation in renovation”, is slated for March 16 – 18 at the Hanoi Museum, heard a press conference on March 6. The event is organised by the Vietnam Journalists Association, the Hanoi People’s Committee, the Commission for Popularisation and Education, the Ministry of Information and Communication and the Ministry of Culture, Sports and Tourism. 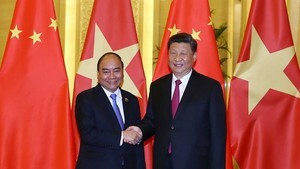 The opening ceremony will be broadcast live on Vietnam Television and Voice of Vietnam, while the ending ceremony will be aired by Hanoi Radio Television and Voice of Vietnam. Fifty-five units from the Vietnam Journalists Association’s branches and journalism education establishments will take part in the festival. This year, the festival is set to display outstanding publications from last year and in the first quarter of 2018, which will be classified into four different categories on Party building, National Assembly & constituents, building a transparent and constructive Government and journalists’ ethics. Other activities include musical performances and fashion shows by journalism students, photo exhibitions and forums on the role of the press amid the fourth industrial revolution, among other topics. The Ho Chi Minh Communist Youth Union will take the occasion to hold a meeting marking its founding anniversary (March 26) and to honour excellent young reporters. The organising board of the press festival said it will present awards for the best stall, best cover of a Tet publication, best user interface of an online newspaper and outstanding scientific research projects, among others.